Is Weyerhaeuser Co (WY) A Good Stock To Buy Right Now? Weyerhaeuser Co (NYSE:WY) has experienced a decrease in support from the world’s most elite money managers recently. WY was in 27 hedge funds’ portfolios at the end of September. 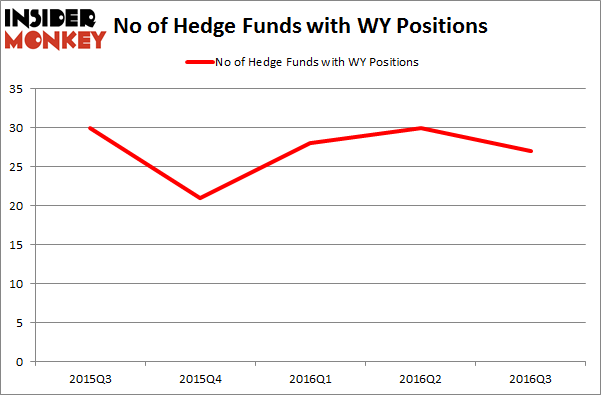 There were 30 hedge funds in our database with WY positions at the end of the previous quarter. 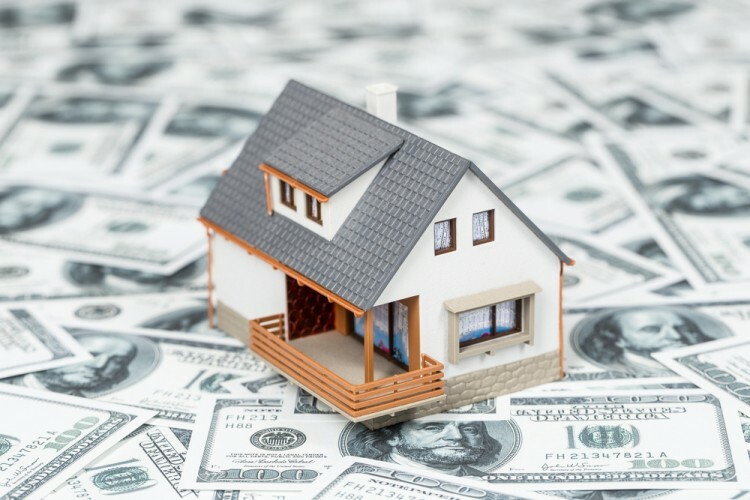 At the end of this article we will also compare WY to other stocks including Dollar Tree, Inc. (NASDAQ:DLTR), St. Jude Medical, Inc. (NYSE:STJ), and Discover Financial Services (NYSE:DFS) to get a better sense of its popularity. With all of this in mind, we’re going to view the latest action regarding Weyerhaeuser Co (NYSE:WY). At the end of the third quarter, a total of 27 of the hedge funds tracked by Insider Monkey were bullish on this stock, a drop of 10% from the second quarter of 2016. With hedge funds’ capital changing hands, there exists a select group of notable hedge fund managers who were increasing their stakes significantly (or already accumulated large positions). According to Insider Monkey’s hedge fund database, Third Avenue Management, run by Martin Whitman, holds the largest position in Weyerhaeuser Co (NYSE:WY). According to regulatory filings, the fund has a $193.1 million position in the stock, comprising 8.8% of its 13F portfolio. The second most bullish fund manager is Balyasny Asset Management, led by Dmitry Balyasny, holding a $66.1 million position; the fund has 0.4% of its 13F portfolio invested in the stock. Other members of the smart money with similar optimism comprise Ken Heebner’s Capital Growth Management, Phill Gross and Robert Atchinson’s Adage Capital Management and Ken Griffin’s Citadel Investment Group.